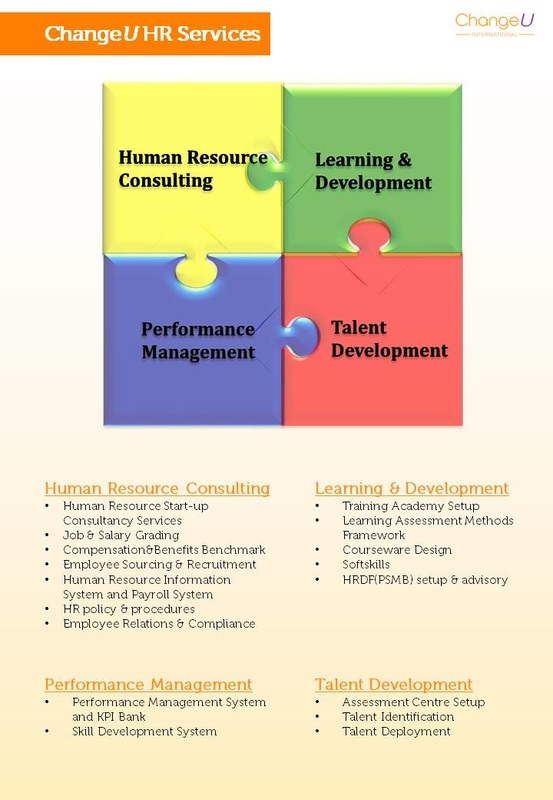 We have a Specialist Consultant team with impeccable track record working with top brands, Fortune 500 corporations, government departments - with consultant experience with Accenture, McKinsey & Co, MIHRM, HKIHRM, etc. Just imagine having all your Team’s KRAs-KPIs all in 4 e-Cards! These KPIs are only relevant to YOU – not your boss or subordinate. You can also monitor your subordinate’s progress in their KPIs monthly or anytime. Everyone is focused and committed. Everyone knows what their most important goals are and what are expected out of them. We will slant KPIs to Transformational KIPs. The 1 Page Performance System that that goes beyond Performance Appraisals! Part 1 of this 1 Page System identifies and prioritizes your own Self Key Result Areas (may include KPIs: Key Performance Indicators), with 3 levels of Benchmark & Goal-setting. Part 2 monitors performance goals & progress of your Team Members. Revolutionary and evolutionary employee ideas system. 1 idea per employee per month! Evolutionary ideas from grass roots will greatly enhance day to day operations efficiency; whereas Revolutionary creative ideas can re-invent a business and enhance innovation to be global brand. We end the powerlab with The 4 Thinking Roles session. This is a real fun crazy ideas session – to stimulate the creative juices. Discover the innovative Sales Champion Way and increase your sales significantly. Change the mindsets of your Sales Team with high AQ-EQ, and Go for Gold Mindset! An e-learning system can be tailor made to your needs and specifications.